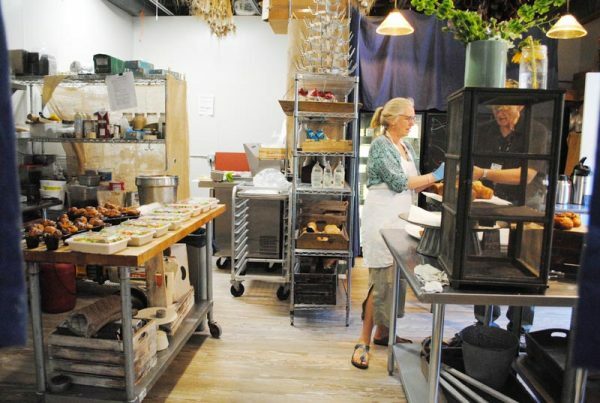 There’s a restaurant for every taste on Martha’s Vineyard, but if you’re culinary-inclined and have a kitchen of your own, there are plenty of great spots to stock up on fresh, local ingredients. Many of our farmers sell their goods at roadside stands, or otherwise in local markets. Gasoline and diesel fuel, repairs and car wash. Convenience store items, too. Al’s is a full service package store on Upper Main Street in Edgartown. It boasts a large selection of liquors, wines, cold beers, and ales, and also carries ice and can handle cocktail party service. Martha’s Vineyard full service package store on Upper Main Street in Edgartown. A large selection of liquors, wines, cold beers, and ales. They also carry ice and can handle cocktail party service. Chilmark Spring Water is true natural spring water. It comes from glacial sand springs off the North Road in Chilmark. These springs are surrounded by conservation properties. The spring water is pumped into a stainless tank truck, and driven to their bottling plant at the Martha‘s Vineyard Airport Business Park. Gasoline and diesel fuel. Convenience store items, too. A variety store with groceries, tobacco, newspapers, beach gear and more. In the heart of Oak Bluffs. Cronig’s Market offers a wide selection of locally raised meat and produce, Cronig’s Market fully endorses the Island Grown Initiative and supports the local farming ecomony. Open daily from 7:30 a.m. to 9:00 p.m. Gasoline, diesel fuel and propane tanks filled. State inspection service. Convenience store, too. Snacks and drinks, a great stop for basics while refueling in Edgartown. Martha’s Vineyard Garden Centerï»¿. Eden Market and Garden Center has been providing top quality produce, plants and garden-related products to the Vineyard for 24 years. Dedicated to excellent customer service, they will go out of their way to make sure your gardening and food experience is enjoyable. Eden is known for its quality plants, as well as its variety. They freshen their plant inventory regularly and their plant suppliers keep them happy with the newest, hardiest plants. They carry tons of annuals, new and unusual perennials, flowering shrubs for all seasons, ornamental grasses, the largest herb selection on the island, and over 500 hanging baskets…just to name a few of their fabulous products. Martha’s Vineyard Garden Center. Eden Market and Garden Center has been providing top quality produce, plants and garden-related products to the Vineyard for 24 years. Dedicated to excellent customer service, they will go out of their way to make sure your gardening and food experience is enjoyable. Gasoline and convenience store items, too. Hours 6AM – 10PM. Full seafood market offering the freshest Island and regional fish, shellfish, steamers, clams and oysters. Jim’s Package Store has a wide selection of wines, beers, ales, and spirits from around the world, and also many convenience and food items including sandwiches. The walk-in cigar humidor contains a fine selection of hundreds of quality cigars for even the most discerning tastes. Experienced sales staff will help you choose a great wine to complement dinner, or even plan wedding and party needs. You can schedule an Island-wide delivery, look over our wedding and special event planner, or peruse some of our extensive selections of specialty ales, wines, and cigars. Jim‘s Package Store is here to quench your thirst and palate with the Island‘s best selection of Fine Wines, Beers, Ales, and Spirits from around the world. 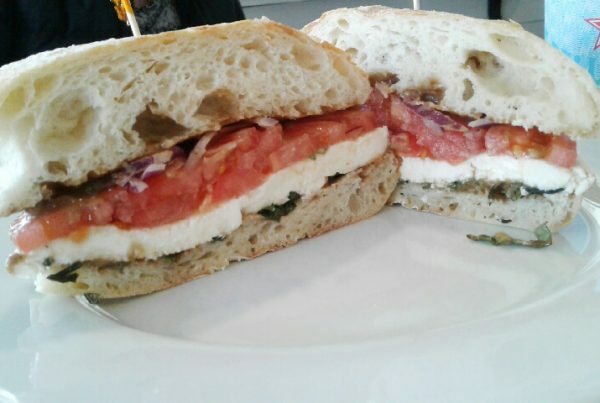 Menemsha Market is an eclectic store selling baked goods, fresh produce, dry goods, and more. Set only a short distance from Menemsha Beach and other up-island locations, this is a great place to stop by for some ice cream or to stock up for a picnic on the beach. Menemsha Market also includes the post office for Chilmark. Jim Norton and his wife Sonya have owned and operated Norton Farm since 1973. The farm straddles the line between Tisbury and Oak Bluffs, and its farm stand on the Edgartown/Vineyard Haven Road, is a convenient place for down-islanders to buy fresh local produce. Our Market, located on the harbor in Oak Bluffs, offers a good selection of more than 500 wines and a wide variety of beer and spirits. Whether you are looking for Italian Chianti or a Napa Valley Chardonnay, the staff is very helpful. The walk-in beer cooler covers all corners of the world, from Jamaica’s Red Stripe to Ireland’s Guinness. In addition to a large supply of beverages, the market also carries an extensive array of gourmet cheeses and groceries. The grocery department is well stocked with juices, waters, paper cups and plates, charcoal, ice cream and fresh produce. Island-wide delivery is available. You can select a delivery date on the shipping information link, or you must place your order before 2 pm if you want your products delivered the same day. Our Market, located on the harbor in Oak Bluffs, offers a fine selection of over 500 wines and a wide variety of beer and spirits. Island-wide delivery is available. Reliable Market is a full-service grocery store in the heart of Oak Bluffs. Run by the same family for 60 years, it is known for its great meats and fresh produce. 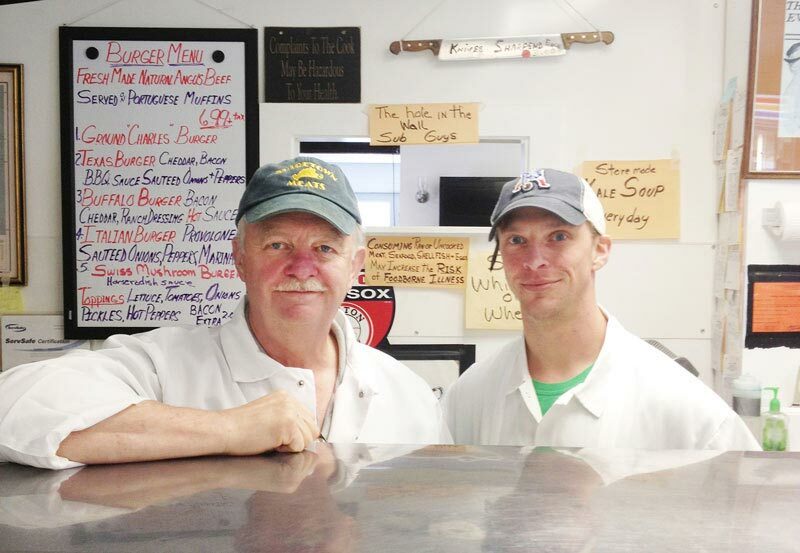 The market prides itself on its selection of fresh meats, either from the case or cut to order by Bob the Butcher, or his son, Ed. 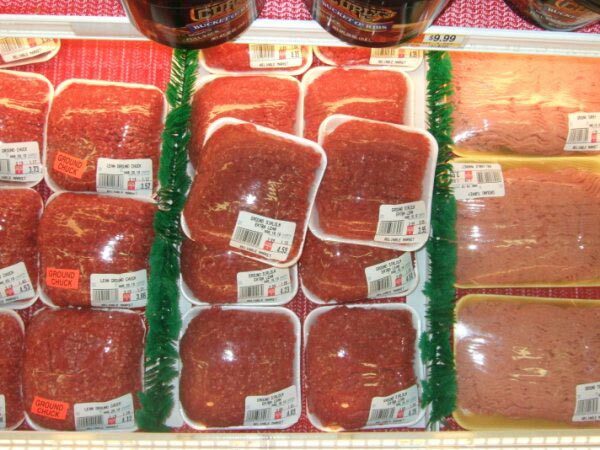 The hamburger is ground fresh daily from cuts of chuck or sirloin. The newest item is rotisserie chicken, available hot or cold daily until supply runs out. Special orders called in ahead of time are welcome. Reliable is in fact reliable. Store hours, year-round, are Monday through Saturday, 8:30 am to 6pm; and Sunday, 9 am to 1 pm. 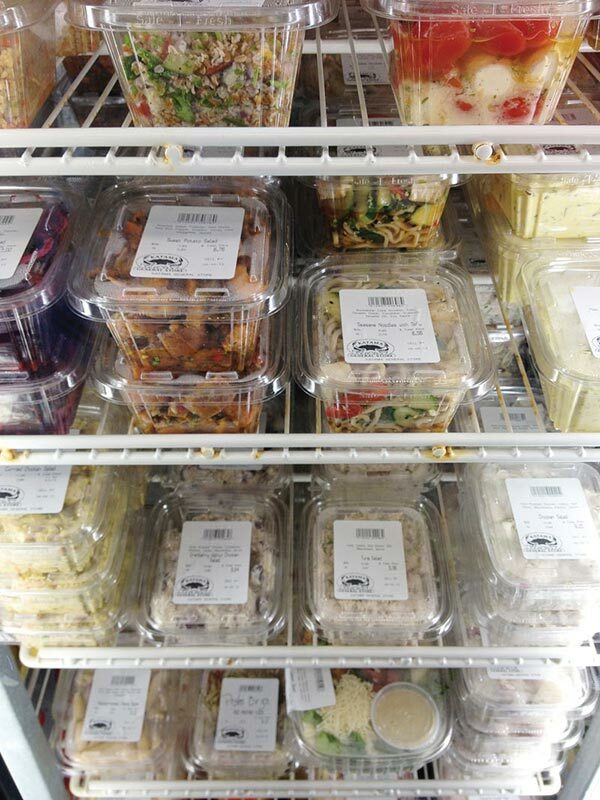 Find the parking lot off Kennebec Avenue in back of store (free parking for shopping at Reliable Market only). Reliable Market is a full-service grocery store in the heart of Oak Bluffs. The market has been run by the same family for 60 years. It is known for its great meats and fresh produce. Gasoline and diesel fuel. Convenience store items, too. Hours 6AM – 10PM. 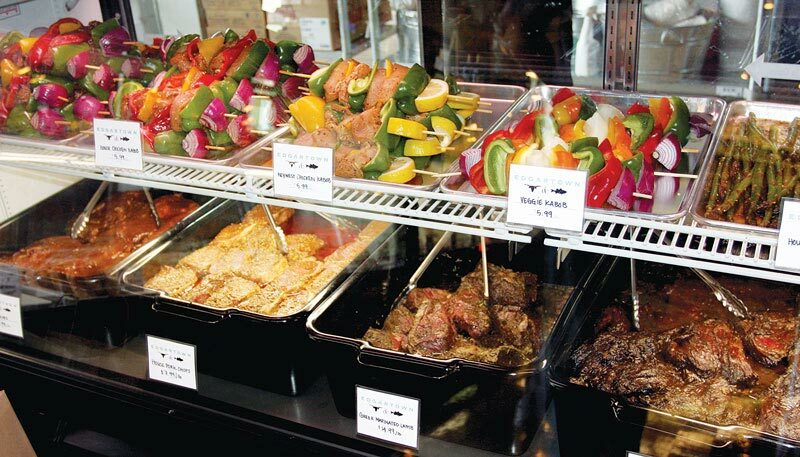 Vineyard Cash and Carry is a wholesale food provider, perfect for your large cookout or family gathering as well as professional restaurants or private chefs, etc. No membership required. They are open six days a week, Monday-Saturday, 8am to 4:30pm. The Vineyard Grocer carries a mix of groceries from around the world, many from Brazil, along with a large supply of nutritional supplements. Also find freshly baked sweets and savory items too, such as chicken coxinhas, a traditional Brazilian snack. Tisbury Farm Market has evolved from a ‘fruit stand’ to a one stop shopping center boasting a butcher shop, a gourmet store fully stocked with healthy foods and supplements as well as a complete kitchen manned by local celebrity chef Marvin Jones at the Vineyard Grocer location a few blocks away. 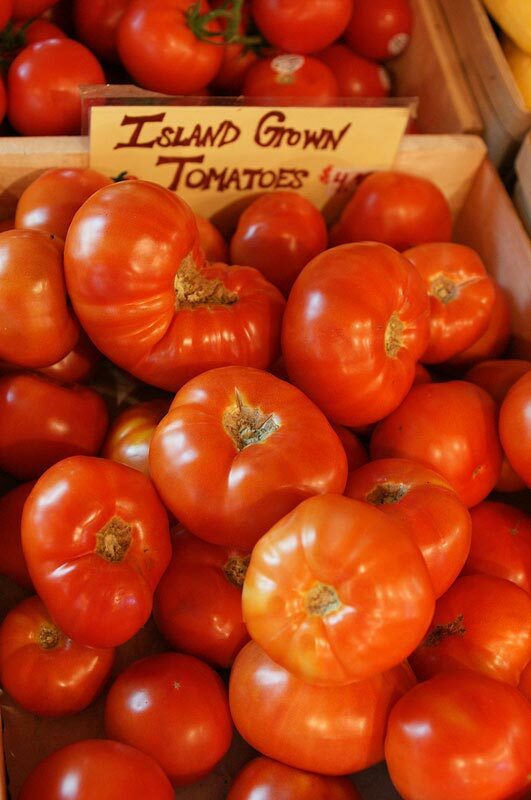 The West Tisbury Farmers Market is dedicated to bringing locally grown foods to people who live and visit the Island. They were founded in 1974 and had about a dozen vendors; today they’ve expanded to 39 vendors and are still run from the Grange Hall in West Tisbury. They’re open from 9-12 every Wednesday and Saturday rain or shine. Whippoorwill Farm has been producing quality vegetables for Island residents for over twenty years. They grow all crops without synthetic fertilizers or chemicals. As their business has evolved, they have supplied restaurants, super markets, farmers‘ markets, a farm stand and their CSA members. Currently, their main focus is on serving their CSA members. They would love to have your support and input as a new member of their CSA program. If you are interested in knowing more about Community Supported Agriculture you can go to their “what is CSA page”. To find out more about their program and to see the different shares they have available you can go to the “how does this work page”. Whippoorwill Farm has been producing quality vegetables for Island residents for over twenty years. They grow all crops without synthetic fertilizers or chemicals. Your Market is located on Edgartown-Vineyard Haven Road, a couple minutes drive from downtown Edgartown. Find liquor, beer, groceries, a large selection of domestic and imported wines, and cheese. Island-wide delivery is available. Your Market is located in historic Edgartown and sells liquor, beer, groceries, a complete selection of domestic and imported wines, and cheese. Island-wide delivery is available.